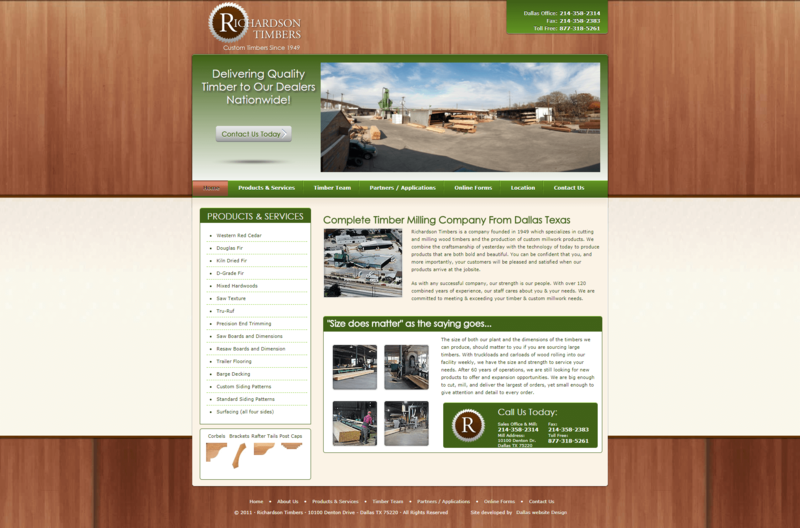 Richardson Timbers contacted us interested in redesigning and updating an existing website that was old and dated. We developed a custom design concept for them, then developed the website in PHP to make it light and fast. We also optimized the content on the website to make it rank as high as possible in the Search Engines for keywords that were important to Richardson Timbers. The end result is that they now have a website that is lightening fast and ranks well for the keywords that matter most to Richardson Timbers. GTmetrix is a popular site that analyses website coding and page load speed. The image below is a GTtrix screen capture showing performance scores and page load speed.